Niwaeli Mziray, is the Company Secretary of Akiba. 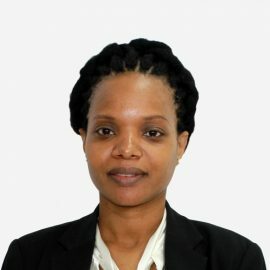 She has a Master’s Degree in Business Administration (MBA) from the University of Wolverhampton and a Bachelor of Laws Degree (LLB) from the University of Dar es Salaam. She is also an Advocate of the High Court of Tanzania and subsequently a member of Tanganyika Law Society (TLS) and the East African Law Society (EALS). Ms. Mziray joined Akiba in August 2015. Prior to joining Akiba, she worked with Deloitte Consulting firm for 3 years and with Mawalla Advocates for 5 years.